Creativity and business go hand in hand and the creative sector makes an important contribution to the national and local economy. If you’ve got a business, want to set up a new business or want to help promote Darlington as a business location Darlington Borough Council’s Business Engagement team can help with all your business enquiries as well as offer advice and support to you. Darlington Investment and Funding Team are responsible for maximising the funding and investment coming into Darlington to assist the delivery of key priorities for the Borough. Through boosting resources available for projects, the team enables the delivery of a wide variety of benefits to both the businesses and the residents of Darlington including boosting economic growth, creating job opportunities and attracting inward investment. 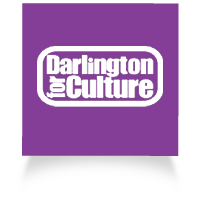 Darlington for Culture offers a range of support to their members, including their cultural network, promoting cultural activity and co-ordinating volunteers. 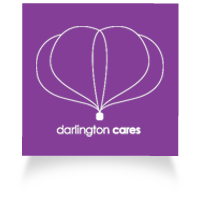 Darlington Cares is a partnership of local employers, committed to making Darlington a better place through a coordinated approach to corporate social responsibility.The project works by centrally coordinating the skills, expertise and volunteering resources of member employers and their employees and matches these to local projects where they can make a positive impact.